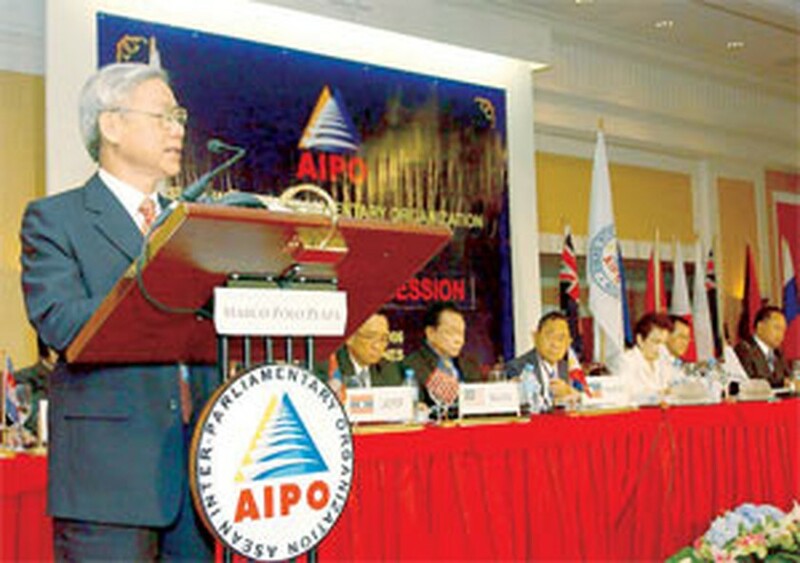 The ASEAN Inner-Parliamentary Organization (AIPO) began its 27th conference in the Philippines city of Cebu on Monday with the attendance of parliamentary delegations from Cambodia, Indonesia, Laos, Malaysia, Singapore, Thailand, the Philippines and Viet Nam plus 11 observer nations. The Vietnamese National Assembly delegation, led by Chairman Nguyen Phu Trong, attended the meeting at the invitation of Speaker of the House of Representatives of the Philippines Jose de Venecia, who is also the AIPO chairman. Addressing the opening ceremony, de Venecia highlighted AIPO 27 as a special occasion to discuss specific issues related to mutual development and the common interest of member parliaments, especially the ASEAN Charter, terrorism and millennium development goals. In his message of greeting, Vietnamese President Nguyen Minh Triet described AIPO as a great stimulant for stronger cooperation between ASEAN parliaments and an invaluable forum on the region’s political issues. He said ASEAN parliamentarians had been able to find common ground for interaction and understanding as evidenced by the wide range of issues in the economic, social and political fields discussed by AIPO’s general assemblies, and the wide areas of cooperation agreed upon. He said the government of Viet Nam, a 10-year member of AIPO, had done its utmost to bolster solidarity, unification, cooperation and development in the region and raise ASEAN’s and AIPO’s position in the international arena. The General Assembly held the first plenary session straight after the opening ceremony.